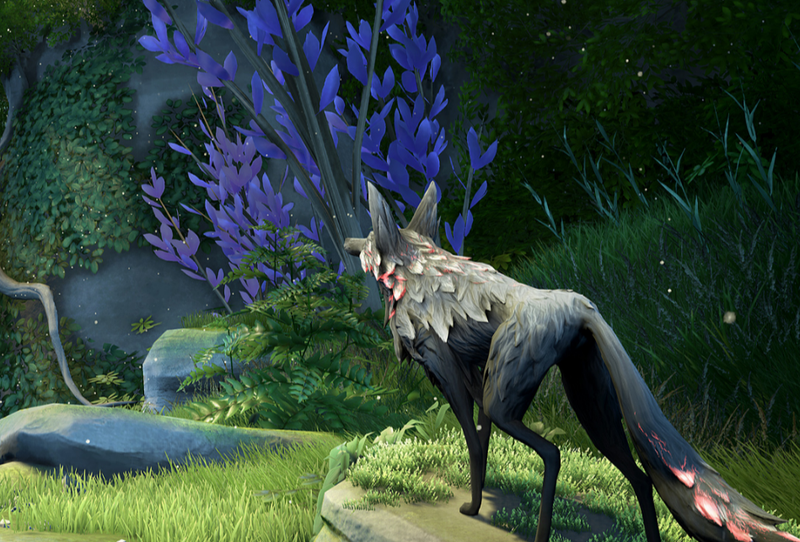 Lost Ember is an upcoming indie game from a wolf’s perspective. Marvelously, that wolf can possess other animals as a way of exploring the ruins of the imaginary Machu Kila. It looks to be a gorgeous adventure title that, as of yesterday, is raising funds on Kickstarter. In Lost Ember, currently in development, players will “explore the remains of a fallen empire” inside a wolf avatar. The goal is to figure out what happened to the lost people of the empire. To access the sky, ground or sea, your wolf avatar can embody a parrot, groundhog, fish and, developers say, any other animal in the game. It’s a simple, ripe concept familiar from fantasy novels. “It’s about exploring the world and experiencing it from different perspectives rather than fighting enemies or collecting coins,” the game’s Kickstarter video explains. Developer Mooneye Studios, based in Hamburg, Germany, previously worked on mobile games. This is their first big video game project. In one day, Lost Ember has raised nearly half of its $110,000 Kickstarter goal.